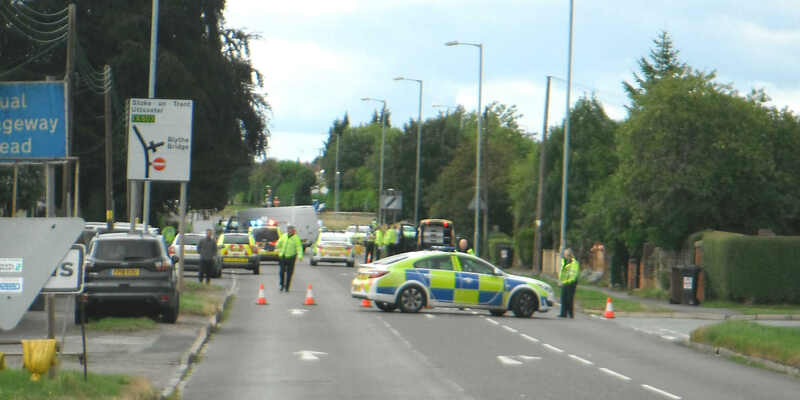 It’s sad to have to report another road accident death on Draycott Level – it’s the third in the last six months. 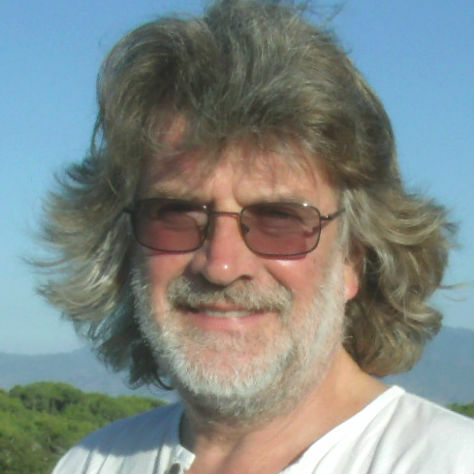 Last Friday afternoon, Martin Barker was travelling home on his motor-bike when there was a collision with an Audi car just outside the Chandni Cottage restaurant. Martin, who is only 50, died of his injuries the next day. He will be sadly missed. The people in the car were uninjured. If you saw, or know, anything, of this incident please contact the police on 101, quoting incident 474 of January 11. We won’t know the cause of the accident until the inquest is held in a few weeks’ time, but already there are calls to make that stretch of road safer. (It’s a 40mph limit through Draycott until you get to the dual carriageway, when it suddenly becomes 60). So it’s timely that Staffordshire County Council has just granted £5000 (from its Safer Roads project) to this district; and Draycott Council is in charge of organising the spend. 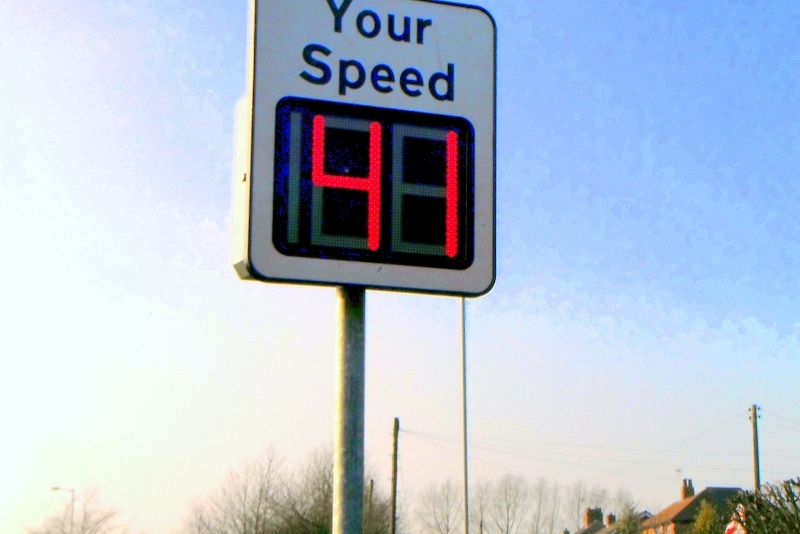 At the moment, our councillors want to use the money to buy at least one permanent SID (SIDs are those electronic signs which flash up your speed as you pass it – see pic) – but it’s not clear how useful a SID will be. After all, we already have lots of speed-limit signs on that stretch now, and the drivers ignore them! Do you have alternative thoughts about how to spend the money? If you do, email the council or turn up to the next meeting, on February 11th. It seems unbelievable, but when we just thought the dust would settle, slightly, up pops more hefty sets of documents to have to wade through. In the latest twist to the Blythe Vale project, St Modwen Homes now want to revise their proposals. Instead of the 118 homes they already have approval to build, they now want a revised application – for 146 homes, i.e. to squeeze in an extra 28 homes on the same site. 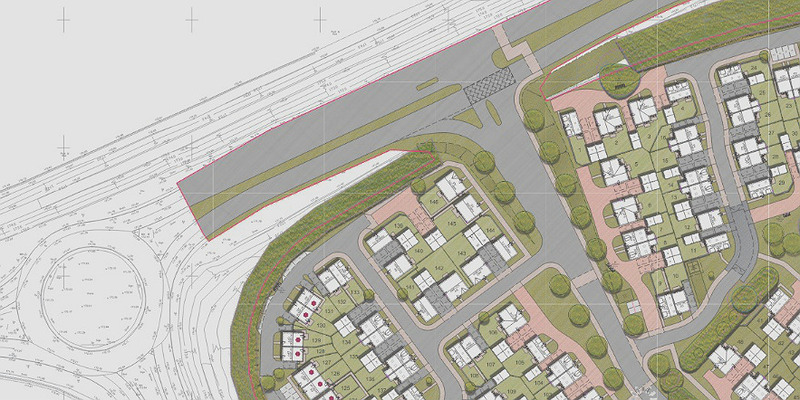 As this is such a flagship project for the Moorlands Council, the chances of any objections to it being successful are almost zero – but at least this is a chance to comment again on one problematic situation, the traffic issue: namely, the exit road off the estate coming out onto the dual carriageway, by Chandni Cottage. So, the thing is: what provision is there for traffic & pedestrians to exit the estate and then cross the dual carriageway, in order to get onto the road opposite into Blythe Bridge? Exit from Blythe Vale on to the dual carriageway (BB Roundabout to the left). The grey area is roads that St Modwen must now be responsible for; the oblong box is the hatched area; and the dog-leg shape by it going across the dual carriageway is… what? However, St Modwen’s diagram doesn’t give us a clear answer: there is a hatched area (i.e. one where cars cannot be stationary) but the little dog-leg shape by it has us foxed. Is it for traffic lights? Maybe. 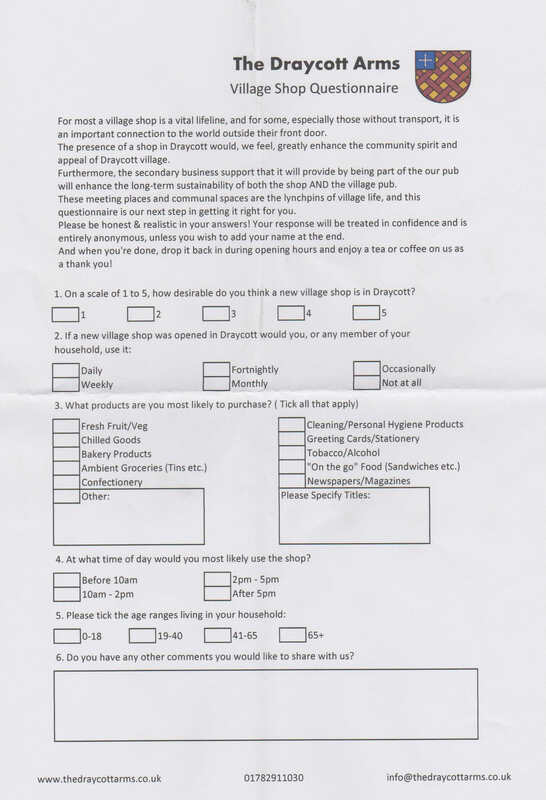 This question has been referred to Draycott Council, and, with luck, they will have an answer for all of us by their next meeting on Feb 11th. Meanwhile, Cresswellians have their own bit of planning puzzlement. As people from there will know, approval was only given for the expansion of the Blythe Business Park on condition that all the new commercial units were completed, and a completely new access road was built across the site (starting at the still-to-be-built Cresswell roundabout). Well, the developers, MJ Barratt/Scentarea, don’t want to wait for that. They want to get the first of the units, the new Greenhouse People factory, viable as soon as possible – so they want permission to use the current access road into the site for now, and not have to build the new access road (and roundabout) just yet. But some nearby residents are concerned about extra traffic from the new factory using the current access road, because this access road is very close to the railway crossing. If you too have thoughts, you have until 27th March (this is a new, extended date to the original date) to comment. Click here to comment online. One bit of good news (at last) is that a Draycott restaurant featured in the 2018 list of cleanest and best-run establishments in the county. The Sentinel newspaper worked it all out, using Food Standards Agency data, and found out that the Golden Keg in Uttoxeter Road received a five-star food-hygiene rating last year. Fancy some casual outdoor work? For money? As readers of this website will know, many residents have not been happy for some time that Draycott Council has not made more effort to keep the district up to the mark by ensuring necessary maintenance jobs are done. 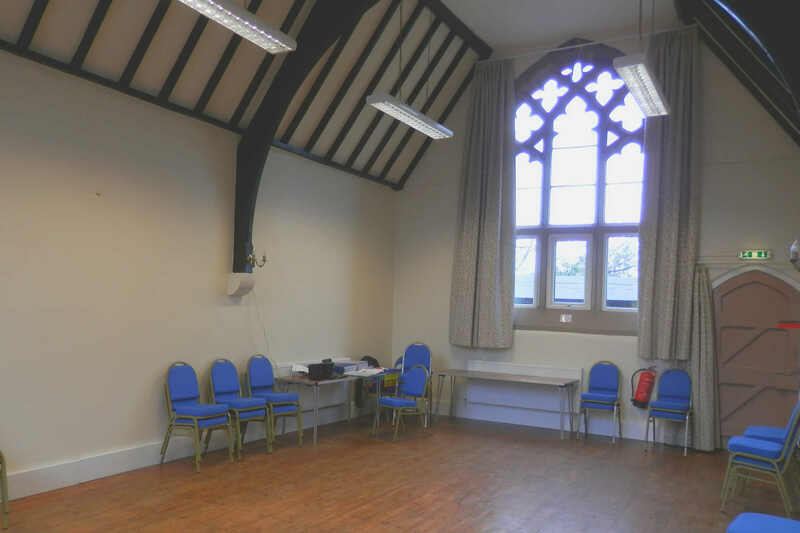 For some unclear reason, for the last five years, the council has chosen not to use its so-called ‘lengthsman’ funds & grants to pay for a handyperson – i.e. someone to ensure the upkeep of clean pavements, see to collapsing signs, do minor hedge-cutting and so on. 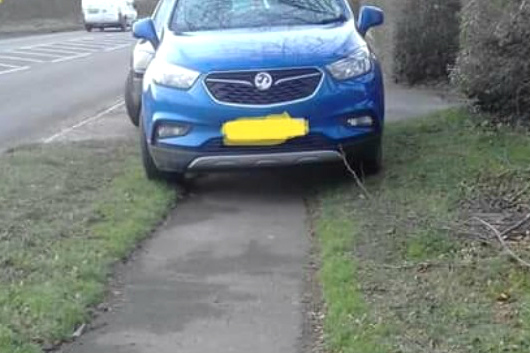 This pavement near The Draycott Arms should be able to “accommodate a buggy”, but is so overgrown that that would be impossibe. It needs clearing. Anyway, at last, they are advertising it. Hurrah. See advert. If you fancy putting in a few hours now and again, the council wants you. You will have to drop them a line stating why you think you could do the job and what remuneration (per hour) you would like. But they want to appoint someone quite quickly, so don’t hang about if you are interested. There have still been no arrests (at the time of writing) concerning the Chandni Cottage Restaurant burglary which took place two weeks ago (Feb 5th). 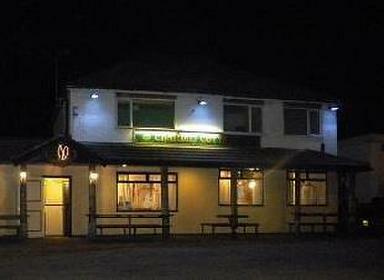 A well-organised group of thieves broke into the restaurant, at the eastern end of Draycott, in the dead of night. They smashed in a window at the back; and stole equipment, goods and some cash – causing around £10,000 worth of losses. They even took the charity tin. The thieves managed to get away with some hefty pieces of kitchenware, which makes police think that they must have had a van, and been properly prepared, being as it was such a difficult operation. The same gang may have even been behind some similar incidents across the area. The thieves were pretty brazen, but let’s hope they made some mistake which will lead eventually to arrests. If you think you may know anything, there is a confidential police hotline – call 101 and mention “incident number 587”. It’s been really distressing for the owner, Yasmeen Yacqub, but we are happy to say that she has since said she won’t be cowed, and will carry on whatever! If the reports from the Cheadle Food Bank are anything to go by, the situation for the poorest in our community is getting worse and worse. Requests to them for emergency supplies have risen 30% on the same time last year. The food bank hands out tinned and non-perishable goods to those who turn up to its drop-in sessions. The Cheadle group serves not just people from the town but the surrounding villages, such as Draycott. However, the food bank organisers rely on people like us to keep a supply of goods going, so, because of the rise in need, they have launched an extra appeal for funds, this time specifically aimed at businesses. We are pleased to say that the first firm to respond positively is one from our small district – New Haden Pumps in Draycott Cross Road, which has stepped in to donate £150. Well done to them. 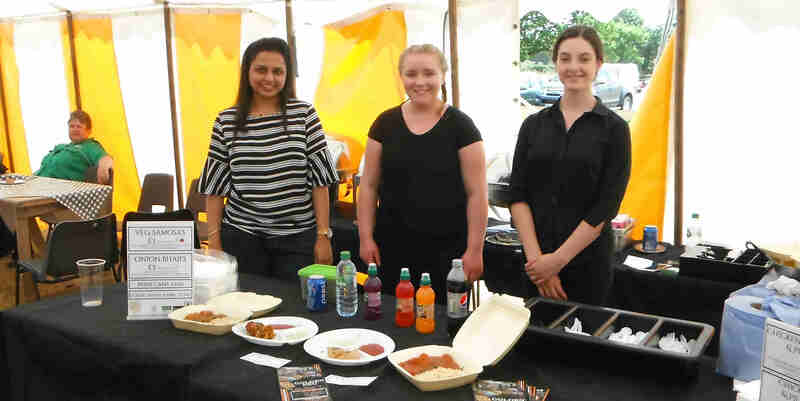 It’s already that time of year again, and the Draycott Fayre organisers have already started booking acts for the event, which returns in July. But now comes the nitty-gritty bit – who is doing what? …from hawking round posters to taking money on the gate. The first meeting to discuss such matters takes place on March 2nd. Can you get along, and offer your services or thoughts? Everyone who works putting the day together is a volunteer, from top to bottom – so, no matter how small, your contribution will be valuable. All are welcome at the meeting. You might think our own local council here in Draycott is pretty bad when it comes to sharing information with its taxpayers (and it is) but the next-door council in Forsbrook takes the prize this month. As must happen after the death of a councillor, which happened at the beginning of this year, a vacancy must be announced so that members of the public can put themselves forward for the post. 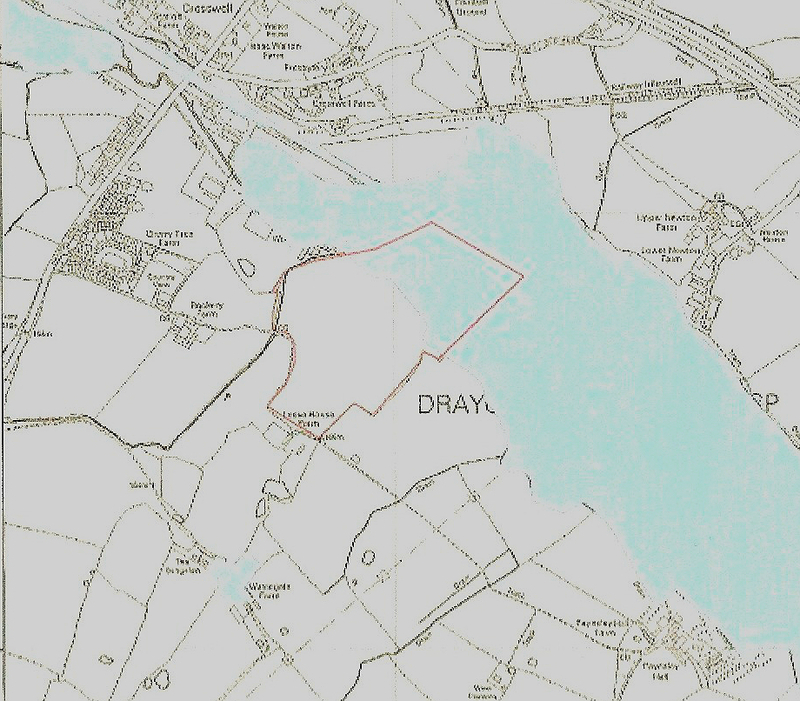 (In fact, some people in Draycott would have been eligible, as the locality rule means that residents for a few miles round are also able to stand). So we watched the Forsbrook Council’s website, and we watched the council’s Facebook page. And we waited and waited. Nothing. However, it then turned out that there was a notice after all – a piece of paper pinned to the council notice boards… but by then it was too late for us. Forsbrook broke no rules in doing this, but, judging by this, they aren’t great fans of openness in local government, apparently preferring to keep such information under the radar, instead of trying to get the information out far and wide to as many people as possible. So… who now gets to decide who will be the new, incoming councillor? Well…the councillors, of course! They will now look for someone they themselves approve of, and ‘co-opt’ them. As required by law, the developers who are soon to be building a housing estate and factories in Cresswell had to commission a report examining the state of the land on which they are about to build. Well, the report has just been published. It is very lengthy and you probably need a degree to understand it fully, but it is important. The local community-action group, VVSM, have been through the report and done their own review, breaking it down into simpler language. The review (click here to check it out), which also has links to the details of the report, is worth five minutes of any local resident’s reading time. The biggest result is that the report’s authors admit finding contaminants in the soil, though they personally do not think there is enough there to halt the building. What they do recommend however is that a thick layer of fresh top-soil should be placed on the fields to act as a ‘buffer’ between the incoming residents and any nasty stuff down below. The report’s authors admit too that there are simply locations across the site where they don’t know what will be found – until the digging starts. In fact, they recommend that construction workers, who will be moving in soon, wear protective clothing. It’s all a bit worrying. The VVSM folk point out that, when cadmium in the earth is disturbed, it often just floats into the air; and, yes, cadmium is believed to be buried there somewhere. In the end, the people of Cresswell (and the incoming residents of the planned estates) must rely on two things – the honesty of the construction firm which is honour-bound to report any unexpected finds, and the diligence of the local authority’s environment officers, who are supposed to monitor the excavations. Erm, fingers crossed, eh? This post has been edited since being originally published. Well done to those folk who have recently decided not to wait for whatever authorities to act, but to get out and fix some local street items themselves. According to a correspondent on the local Facebook page, it was all done by “community-minded” residents. So… one of the parish council notice boards – the one on Draycott Level which was kicked over some time at the beginning of last month – now stands again! Its legs are a little shorter now, but as they are buried up to their top in soil, no one notices. The torn felting on top of the Cresswell bus-shelter roof has been waiting a little longer for repairs, some six months or more, but it too has had a repair in the past week and now has a lovely new covering tacked on to it. The government is very much saying that local people must now volunteer to get out there and fix things in their communities themselves if they want them done – and it looks like someone is taking that advice to heart. 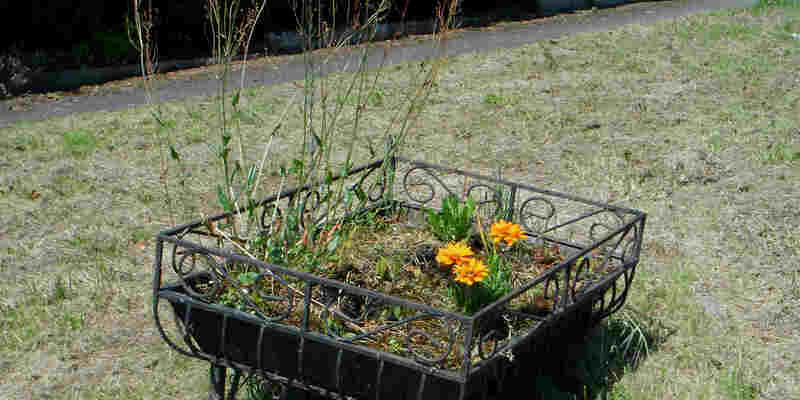 One little job that, sadly, hasn’t been done by the authorities is the removal of the old planter (on our main junction, of Uttoxeter Rd and Cresswell Lane). 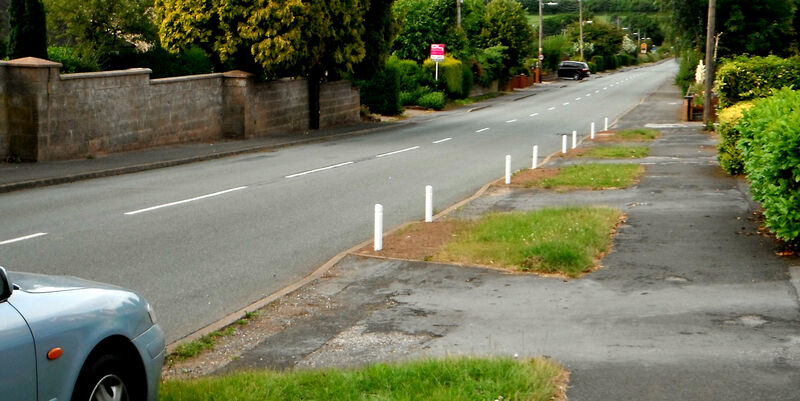 A year ago, Draycott Parish Council promised to remove this eyesore, which has broken legs and is full of weeds, but so far they seem unable to locate a man & van to do it. Maybe the news that it is an illegal will hurry along said removal. We had an interesting email from Nigel Peake the other week. There are probably very few people who know this village as well as Nigel, and he says that in all his days he has never been so concerned about the river. The River Blithe runs into Draycott from Blythe Bridge, before going on to Tittesworth reservoir and eventually meeting the Trent at King’s Bromley near Rugeley. It’s quite a significant river, and is the real reason that Blythe Colours settled here over a hundred years ago. Nigel is right of course. It’s partly the invasion of Himalayan balsam – the weed that spreads like wildfire – which is choking the river, and partly the constant need to keep de-silting the water-course, which isn’t happening. Even the tributary into it, which runs from The Hunter pub through Paynsley fields and meets the main Blithe at the Blythe Business Base, is virtually invisible right now. Further up, near to Wastegate Farm/The Hunter, the landowner is even now putting in extra drainage pipes, presumably to help it along. Anyone got any ideas on how to save the Blithe? The chance to comment on the Staffordshire Moorlands District Council’s ‘Local Plan – Preferred Options 2017’ has now passed. The results of the feedback should be known in the New Year, but we already know that many of the comments were deeply unfavourable. 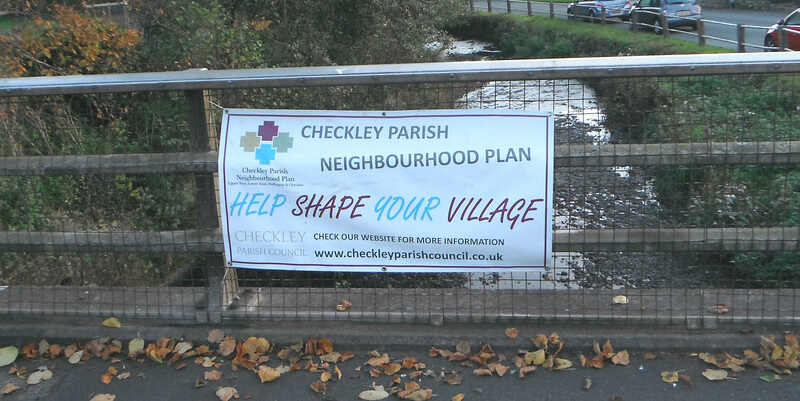 Residents in both Draycott and Cresswell felt a bit frustrated that any comment by them objecting to the Blythe Park expansion, or to the Blythe Vale development, would be ignored – as the approval for both has already been passed, and the Local Plan only looks at future scenarios. • 8.26 Note that: no rural employment allocations are proposed … given that in May 2016 the Council granted outline approval for a major residential and industrial scheme in the countryside at Cresswell (Blythe Park expansion) covering approx 8.58ha of employment land. This satisfies the District’s residual employment land requirement for 2016-2031. Note that: the 48.5ha allocation of land at Blythe Vale (Policy DSR1) for mixed uses responds to a special regional requirement for high quality, employment development independent of the general employment land requirements for the District set out in Policy E2. In other words, ALL the region’s industrial development, for rural areas, for the next 15 years is allocated to … Cresswell & Draycott ! 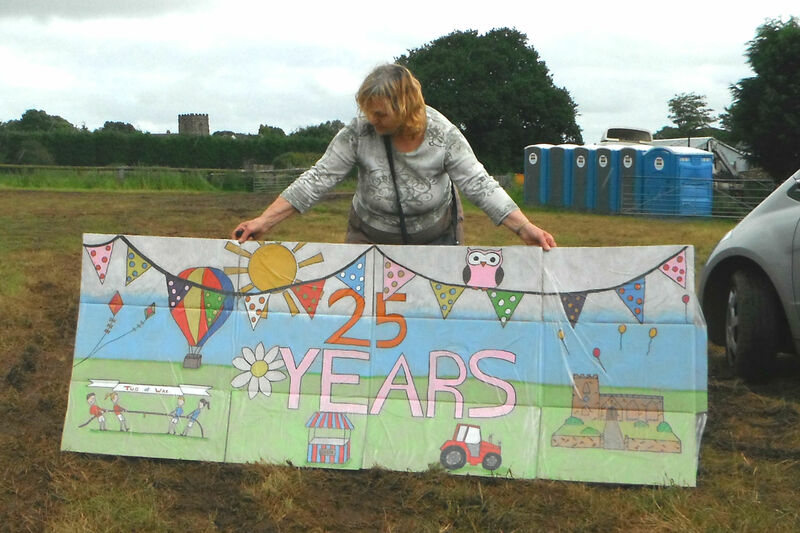 So, expect the fields along the ridge overlooking Uttoxeter Road to be changing over the next few years – from quiet arable land to widespread warehousing and more. And none of our political representatives, from local level to Parliament, seem that bothered. Things seem to have gone a bit quiet on the Cresswell Blythe-Park expansion plans – in which 170 new homes will be built in the village and the current industrial park will also double in size. However we are pretty sure that, behind the scenes, both the developers and the community group which opposes the plans, VVSM, continue to work away. One thing that has come to light in all this is that the expansion of the industrial site will take place on top of some of Cresswell’s ancient ‘water meadows’, that are probably centuries-old. The developers’ own researches indicate that these are the major heritage legacy that could be disturbed by the new build. ‘Water meadows’ are the areas of land that used to be flooded deliberately in the old days: to force early growth of grass in the spring; to improve the quality of the grass sward; and to increase the summer hay crop. But drowning the land in this way can also kill the grass, so landowners cleverly used sluices and ridges & channels to keep the water moving and oxygenated, so preserving the grass. In fact, Staffordshire’s water meadows may be some of the earliest in the West Midlands. (Systems around Uttoxeter used stone work for sluices and culverts, which just shows how old they are – perhaps 500 years old). Cresswell’s old water meadows follow the line of the Blithe River, which makes sense, because these particular fields needed the extra source of water. Older people in this area will also tell you that the wet fields just north of the railway line, near St Mary’s Church, were famous for their abundant crop of water-cress, thus giving the village its name of Cresswell. Sadly, Cresswell’s wet-fields seem to have suffered the general fate of most other water meadows in the UK. 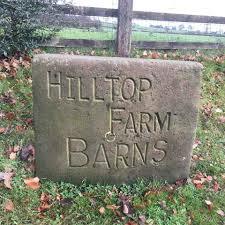 They were probably churned over and flattened around 100-150 years ago to enable modern farming practices to take place. The amazingly fast disappearance of water meadows in Britain since the 1930s has not been good for wildlife. Old water meadows – with their open undulating grassland interspersed with derelict wet channels – support many threatened species of plant life and mammals, such as the water vole. The question is: are there still centuries-old remains – e.g. old drainage systems – beneath the surface? 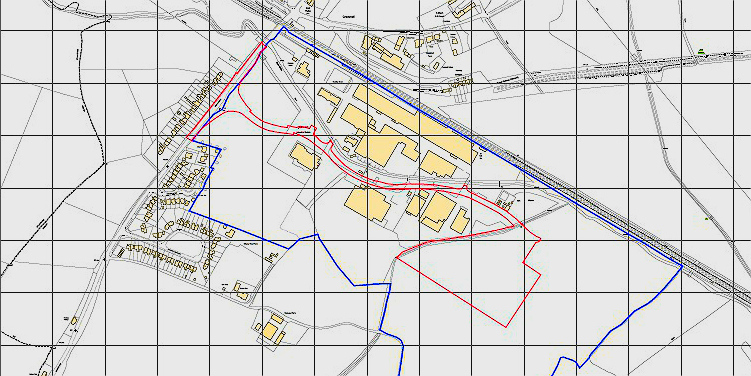 According to the ‘Staffordshire Historic Environment Record’ the site (labelled 53250) is declared an “area of post-medieval water meadows” – and indeed a series of straight drains is recorded on current mapping of this area (see map). The HER report goes on to wonder if any associated earthworks remain. The HER’s guess is that they don’t, because they were likely ploughed over. However, it is only a guess – because no archaeological surveys, on the ground, have actually taken place…. Of course, the developers, as part of the planning permission process, do have to commission an archaeolgical survey – but, at this stage, it’s not clear how thorough that survey has to be. It will be interesting to see what transpires over the next few months. As you can tell (! ), we are not experts, so we’d appreciate any input. If you can contribute to this article, we’d be very grateful! Please leave a comment in the comments box below, or email us. NEWS: new cllr / Church Lane end? / traffic lights / new shop? (NB – There are also dozens of events coming up in our locality – including a cabaret evening of ballroom-dancing – check out the Events page). Congratulations to the newest member of Draycott Council. Patricia McLaughlin (see photo, right), a chartered surveyor who lives at the Blythe end of Draycott Level, was voted in by a landslide on Thursday (6th) evening in the local council by-election. She was voted in with 98 votes, compared to her opponent’s 52 votes. 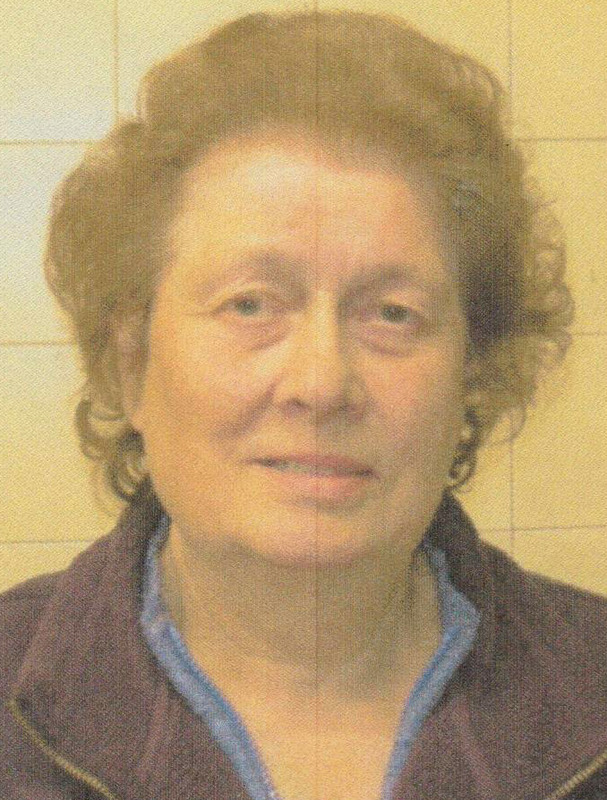 She becomes one of Draycott Council’s seven members. Our commiserations to the gallant loser, Roger Leach. Pat said in her manifesto that she will aim to unite the different parts of the district, which, as she observes, have become “disjointed”. We wish her the best of luck. Shopping to return to Draycott? There hasn’t been a shop in Draycott for many years now: though there are still fond memories of Evelyn Robinson and how she ran the old post office (see picture, right – it was adjacent the Draycott Arms), not to mention the general shop at the Blythe Bridge end of Uttoxeter Road (near what is now The Golden Keg Restaurant & Pub). 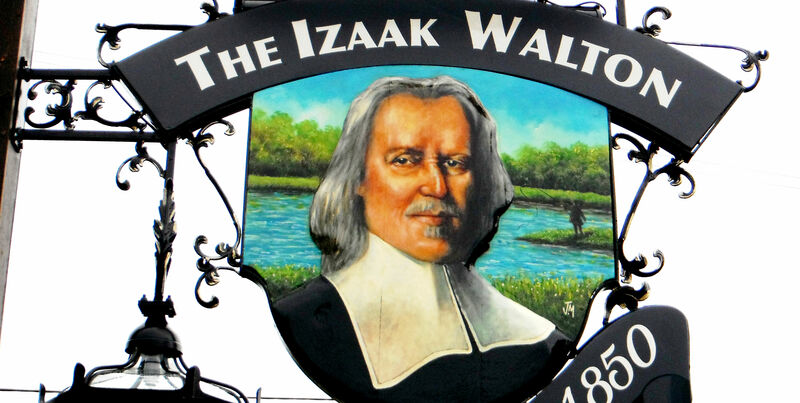 However, Zara & Brayn at the Draycott Arms pub are nothing if not enterprising, and they want to establish a shop-area in what used to be the public-bar room at the pub. The room is under reconstruction at the moment, but it should be all done and dusted sometime in the summer. Zara is now looking round for a second-hand refrigerated unit to hold the perishable goods (if you know of one, she’ll be happy to hear from you). Cul-de-sac for Church Lane project? 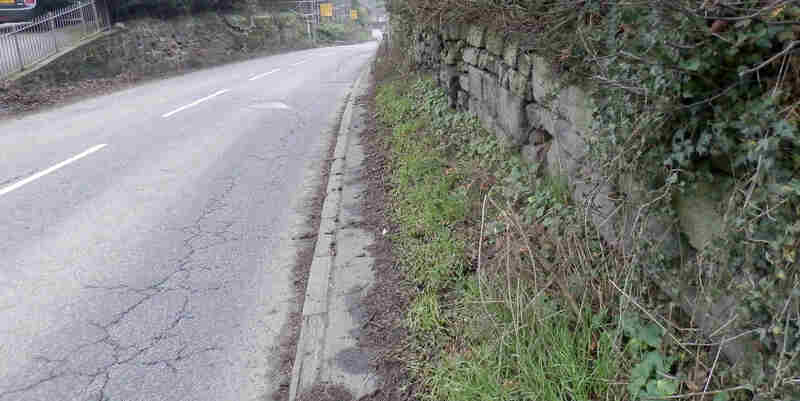 Over the past three months there has been a deal of discussion (see more…) about what to do about the awful condition of the road surface on Church Lane. The lane is really more of a track than a road and is full of nasty potholes. However, it’s an important thoroughfare, as it leads up to St Margaret’s Church & graveyard and to the community hall too. At the last Draycott Council meeting however, our local councillors admitted defeat. 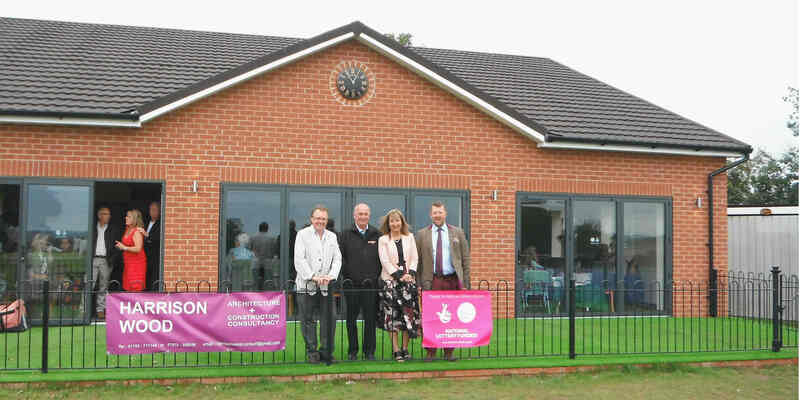 The project is too expensive and too-consuming for them to get involved with, it seems, and the local county-councillor, Mark Deaville, is taking on the issue instead. Mark is applying to Staffordshire County Highways to have the lane ‘adopted’. However, he admits it’s a pretty long shot. So what do the church authorities and the dozen-or-so residents of the lane do next? We met one resident, Mark, who was doing a manful job patching up the potholes this week. His patches are just exactly that though, and he admits his work may not last for very long. It’s a difficult issue. We suggest the wardens at St Margaret’s start a crowd-funding page to try to raise the cash for proper repairs. Well… Anybody got a better idea? Talking of works not getting done, does anyone know what the sudden appearance and then disappearance of some temporary traffic lights at the Uttoxeter Road-Cresswell Lane junction was all about? 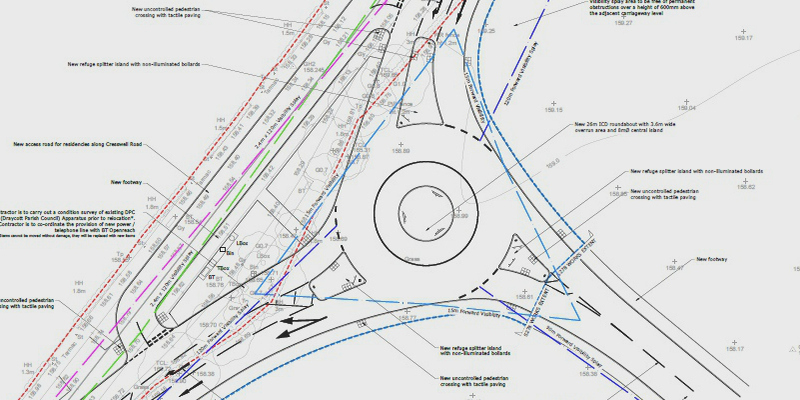 We were told it was going to be some preliminary work on the giant new roundabout which is going to be built there as a part of the re-development of Cresswell (see: the Roundabout Design diagram).